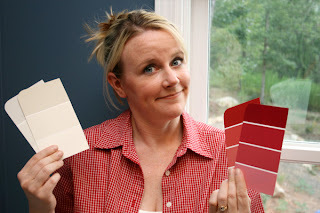 While there probably isn't one definitive best or worst color for any specific room in your home, there are definitely some guidelines you can follow to make good color choices. In addition to considering the use of the room, you should assess the overall lighting in the room, the size of the room and your own personal color preferences before choosing a color. When choosing dining room colors, earthy tones tend to be the most popular choice. Not only do these colors convey a feeling of warmth, but they also very versatile. Using the psychology of color, colors such as red and orange tend to be stimulating and are thought to increase a person's appetite. On the other side of the spectrum, blue tends to suppress the appetite, and as such, is often thought to be a poor color choice for a dining room. When choosing colors for the kitchen, using the color of the cabinets as a guide is often the best approach, due to the fact that the cabinets are among the most expensive features of the room. Popular colors to use in the kitchen include earthy tones such as brown, peach and yellow. Strong colors such as brick red can also look nice in the kitchen, especially used as and accent color along with more neutral shades. Greens and blues are not generally thought to be the best choice for kitchen, especially in the lighter shades. However, accents of dark hunter green or blue can sometimes be used effectively. Living room colors are often best selected by taking the overall size and lighting of the room into consideration. The mood you are trying to achieve is also important. Light colors will make the room seem larger, but using dark colors is also sometimes desirable, because they can add a cozy look to a room. Warm colors, whether they are light colors like beige, cream or shades of yellow can add a warm and inviting look, while cooler colors such as gray can add a more formal appearance. Extremely intense colors such as bright red are generally not good choices for a living room, as they are too stimulating, but shades of burgundy and maroon can be used effectively. When choosing colors for the bathroom, take into consideration the overall effect you are trying to achieve. Light colors and natural shades such as light blue, sea foam green and light earthy shades have always been popular for bathrooms because they can create a relaxing spa feeling. Try to avoid extremely dark colors if the bathroom is small because these colors will just make the room seem smaller. However, darker colors can be used effectively to create dramatic effects. Because the room is small, almost any color that fits your personal taste can be used effectively. Choosing relaxing colors such as blues, greens and light earth tones is often the best approach for the bedroom. Try to avoid bright and jarring colors such as red, bright yellow and other intense shades, at least in large areas, because they are too stimulating for a restful room such as a bedroom. However, a romantic look can be created with colors such as burgundy, peach, coral or pink shades.